Jialat...... I wonder who's baby can wear this size. 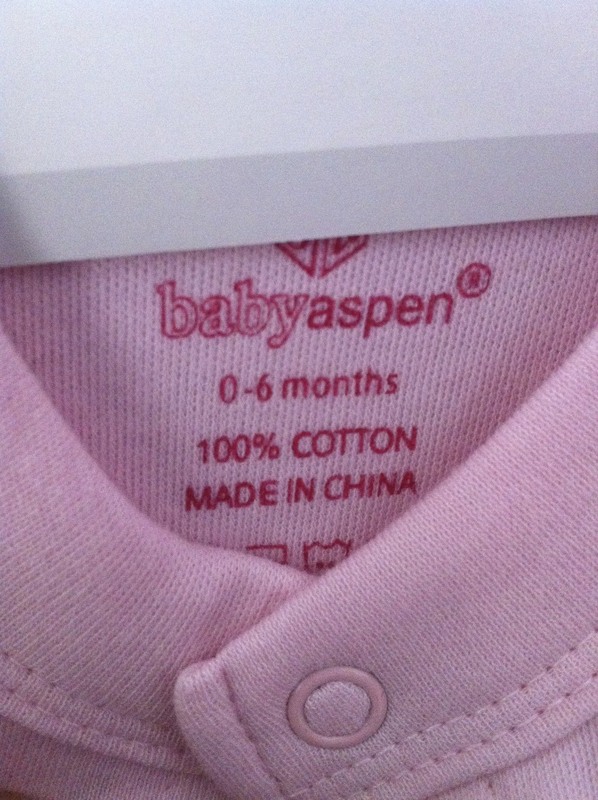 It say is for 0-6 months baby one but see also impossible my one month old baby can wear lah. I didn't know that China baby is that big size yo!!! Just imagine that a baby girl at one month old can wear this size...... wah that is really huge baby!!! Someone give my daughter for this as her Full Moon persent but I guess my daughter have to wait for another 6-8 month see can wear or not lah. Bruther if next time you want to buy baju for baby make sure you bring a measuring tape go and measure the baby how long first them baru go buy, if not a 0-6 months old baby baju have to wait for next year 1 year old baru can wear tu!!! hahahaha....... Anyway thanks for the gift Mag!!! We both like it! !